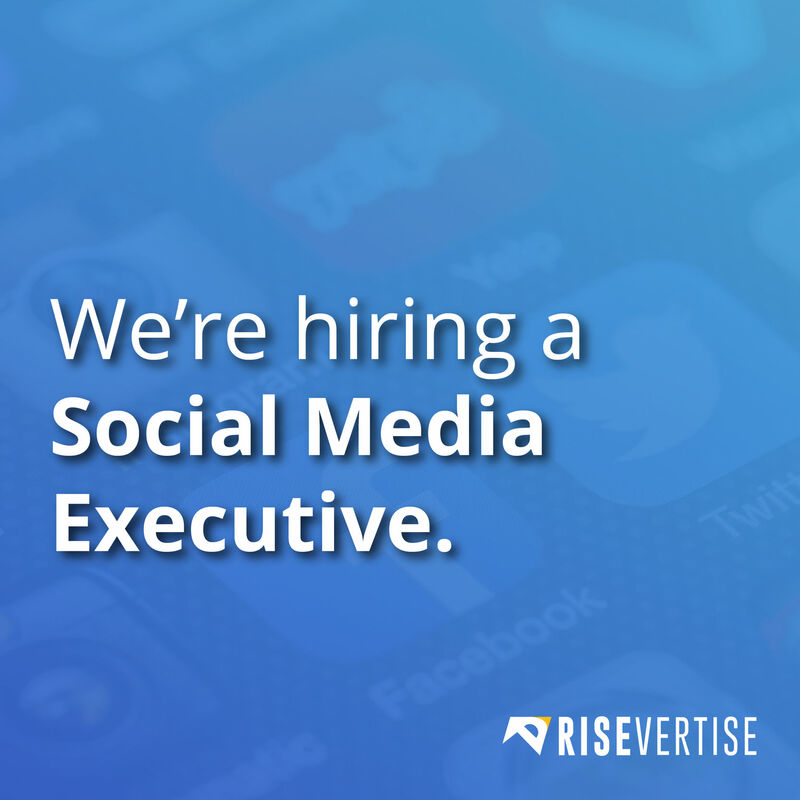 Job Opening: Social Media Executive | Risevertise Media | Visualize, Humanize, Publicize. Work with our Strategist to create and implement campaigns. Develop content calendars on a weekly and monthly basis for in house and external brands. Monitor analytics and propose viable ideas. Create engaging social media content. Provide support to our team during live and offline events. Manage and optimize brand pages and find innovative ways to encourage ticket sales/conversion. Ability to grasp digital trends and understand implementation strategies. Applicants must have their own laptop. Applicants must have at least 6-12 months of proven experience. Certifications in Google Adwords, Facebook Ads (Blueprint Certifications), Twitter Flight School or other related online courses is a plus.